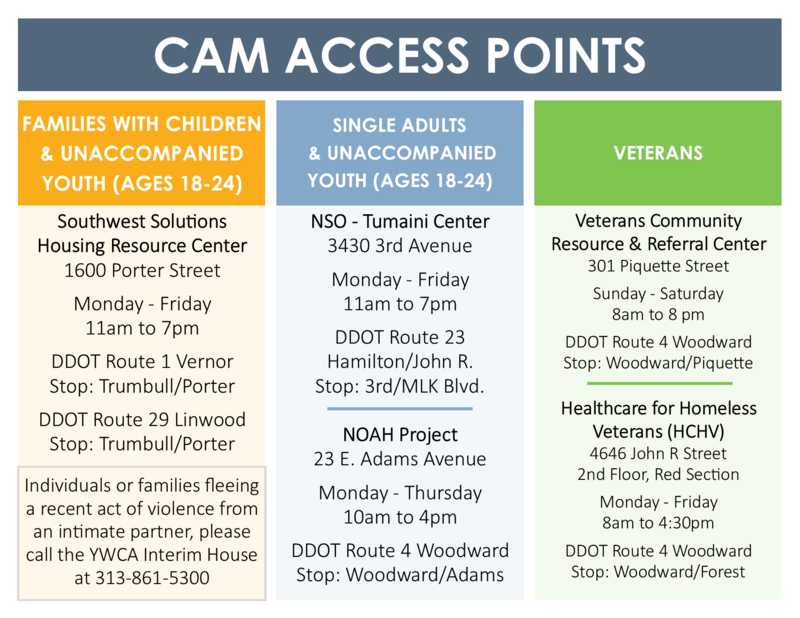 The Coordinated Assessment Model (CAM) is a systematic approach to homelessness in Detroit, Highland Park and Hamtramck that focuses on aligning the needs of individuals and families experiencing homelessness or at imminent risk of becoming homeless to available shelter and housing resources. 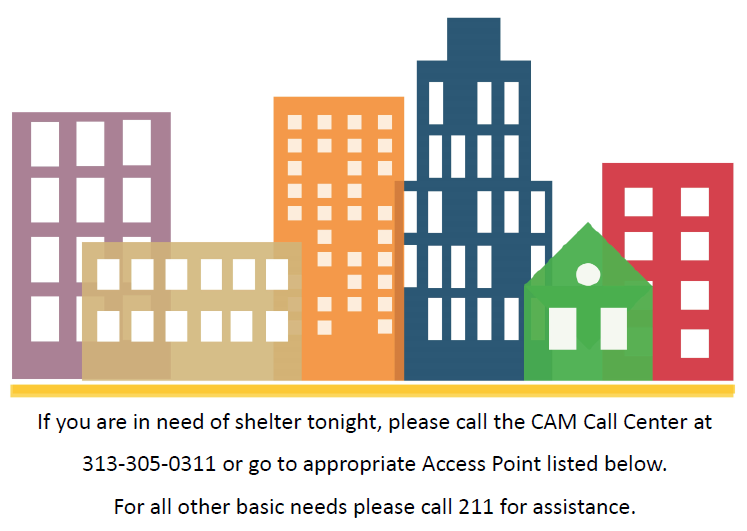 The CAM’s vision is to orchestrate a community response that creates an accessible, efficient path to housing for households facing homelessness. Coordinated Entry is an effective key to federal, state, and local resources. HUD Coordinated Entry Notice, released in January 2017, outlines the requirements around coordinated entry.